FYI: This isn’t really a sound “proof” box, but I didn’t think sound dampening box had the same ring to it. I’m not going to detail the exact construction since it will vary depending on the size and options you need. 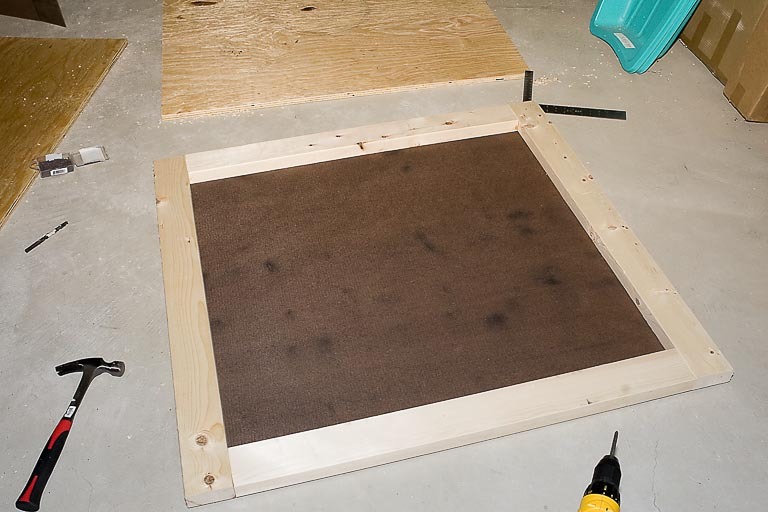 For instance you might not need the fan, vent or window that my project needed. The first main point about construction that I want to mention is that you should pick insulation that’s at least twice as think as the space between your walls. 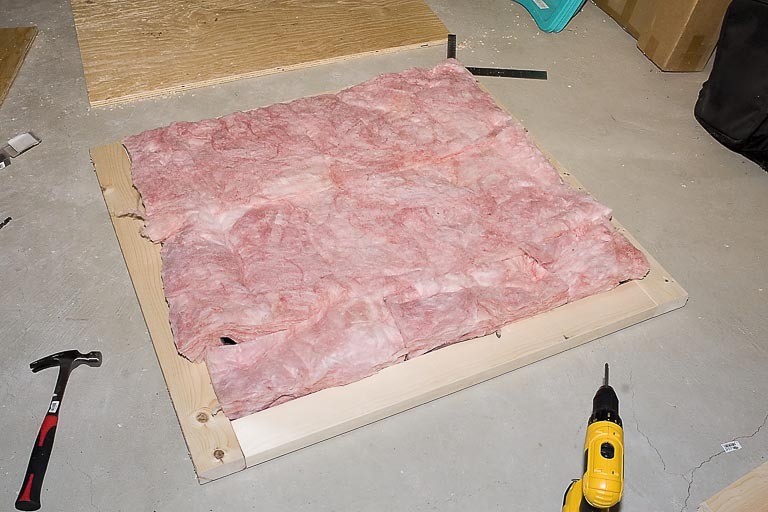 When you’re using insulation for heat you want to have it loose, but when using it for sound proofing you want it compressed. 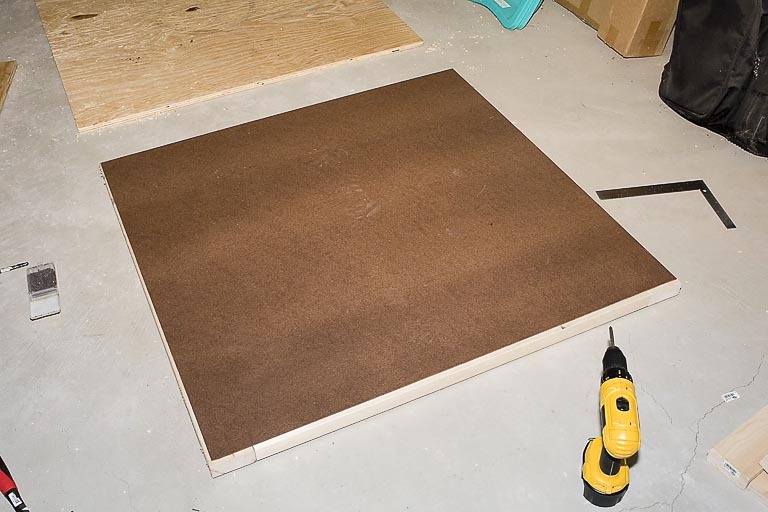 Another trick is to make sure a large part of the box’s interior is covered with cloth or carpet. I think carpet would be best, but I had some extra felt at home so I just used that. Here are some pictures of a single wall’s stages of construction. Here are some pictures of the finished box. 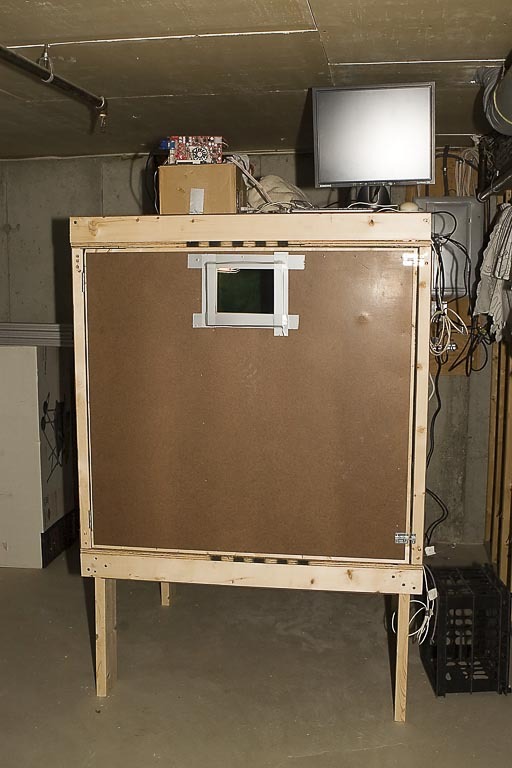 I was quite happy with how much quieter my CNC machine is after I put it in this box. 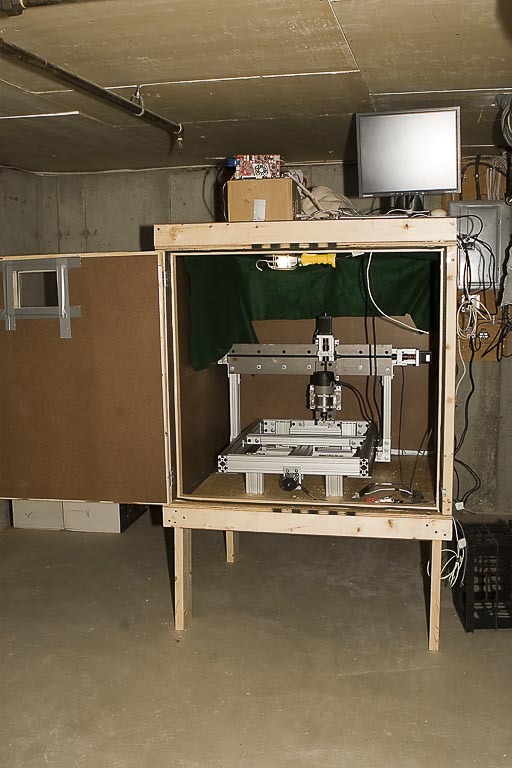 Here’s a link to my CNC build.